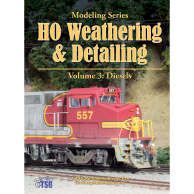 HO DCC Installs Volume 2 tackles some more advanced subjects, like customizing a modern diesel with working ditch lights, number boards, and a beacon! 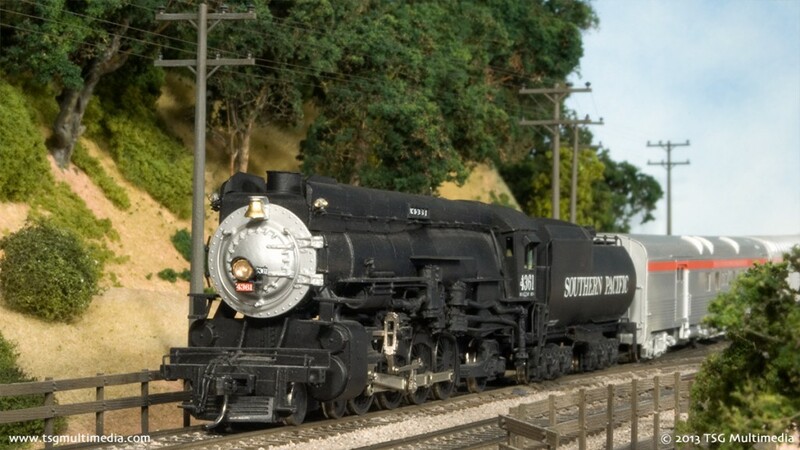 One of the examples on HO DCC Installs Volume 2 is a brass steam locomotive with sound! 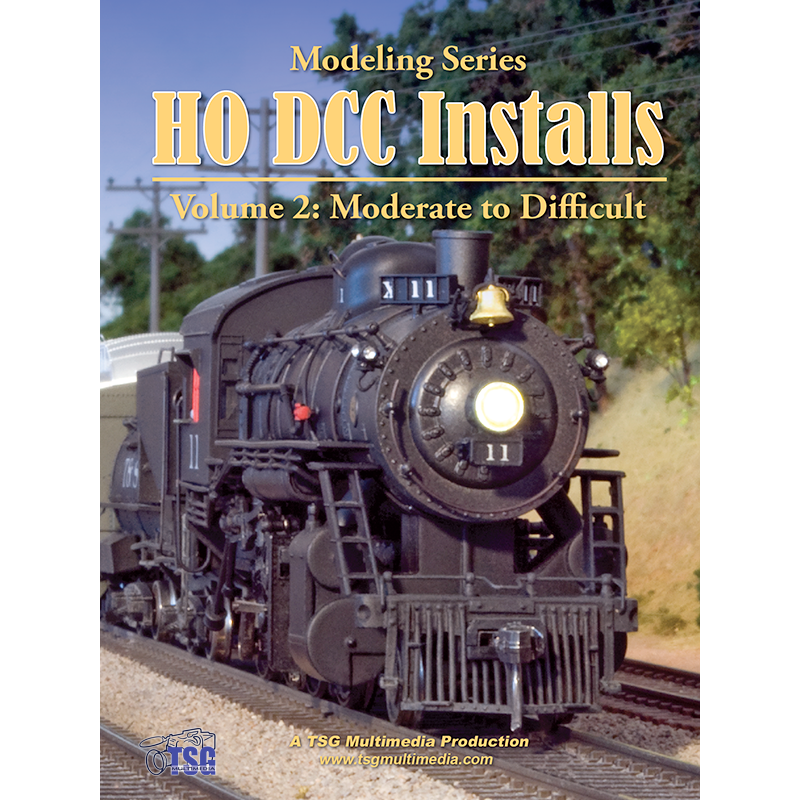 HO DCC Installs Volume 2 is a how-to video for modelers wishing to install DCC decoders in HO scale locomotives. In HO DCC Installs Volume 2, we’ll tackle 8 real-world examples of DCC installs in HO scale locomotives that require a bit of skill and planning. The examples of DCC installs in volume 2 generally involve more soldering and forethought than those in volume 1. You can follow along as we install our decoders. We’ll discuss things like lighting, resistors, speakers placement, and touch on programming. We’ve tried to include enough variety to provide examples of typical issues you’d be likely to encounter while installing your own decoders. There are steam locomotives including a brass steamer, diesels, and even a cab car! All the models have sound, but the techniques apply equally well to non-sound installs, so there’s sure to be something for everyone! 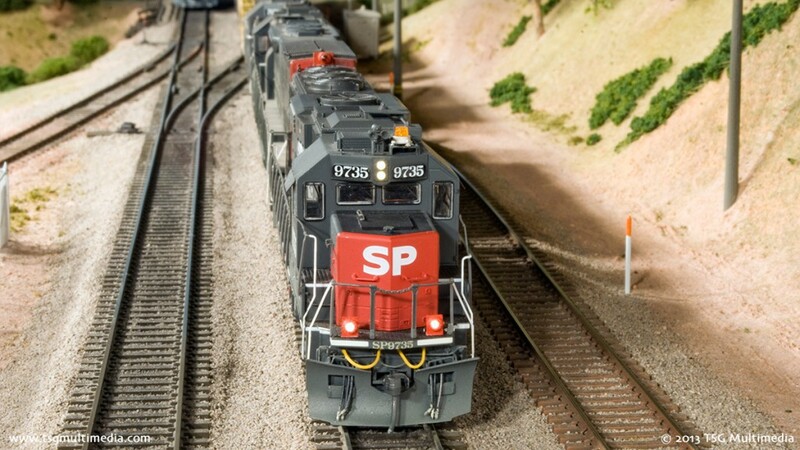 Even if you don’t have the same locomotives or decoders we used, the principles still apply. 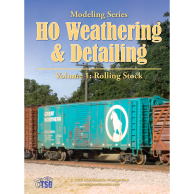 The techniques demonstrated in HO DCC Installs Volume 2 apply to just about any locomotive. Decoders may change over time as newer technology becomes available, but so long as the DCC standard remains in effect, the wiring will be the same. HO DCC Installs Volume 2 also includes a bonus still photo library!